How to install and use this awesome tool. Signup up for free here. Then an email sent to you will give you the final step. If you already have a Symplur account, you can get the tool directly there by logging in. How many hashtags in the search results can I see? Symplur Signals Enterprise customers has no limit on the number of hashtags shown in the search results. Free users see max 8 hashtags. How does the Weekly Activity indicator work (Paying Symplur Signals users only)? Every day we run a simple analysis of the number of tweets each hashtag has received during the last 7 days. You will see a visual indication of usage for every hashtag. How does the Copy button work? 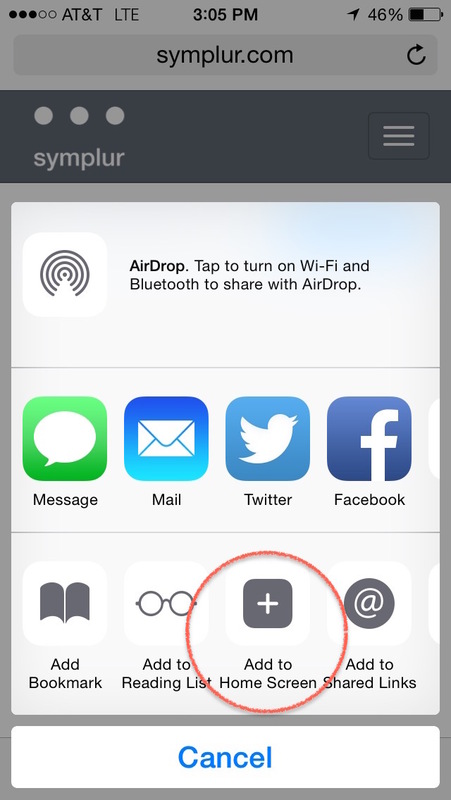 The Copy button is only visible on desktop browsers and not mobile devices. It's only supported by modern browsers (Latest Safari, Chrome, Firefox, etc.). Can I use it without having to type in a health term? Yes, you can! Just highlight the word or phrase from the article you are reading and click the open Hashtag Finder and relevant hashtag will be shown right away. Is this secure and private? 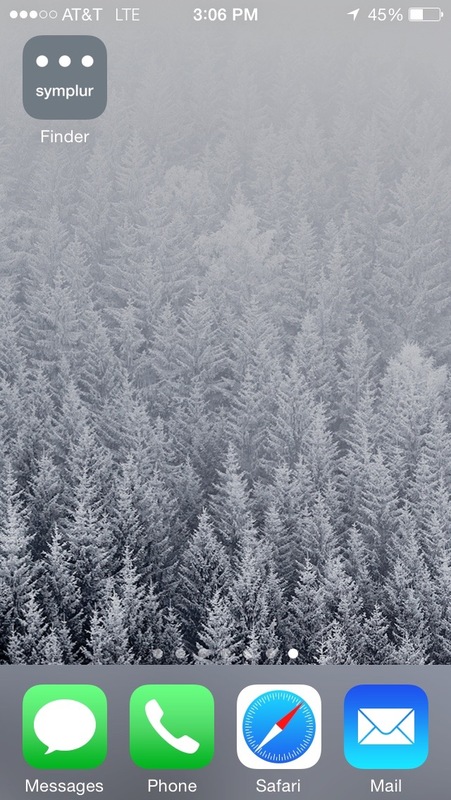 Can I use this on a mobile device? 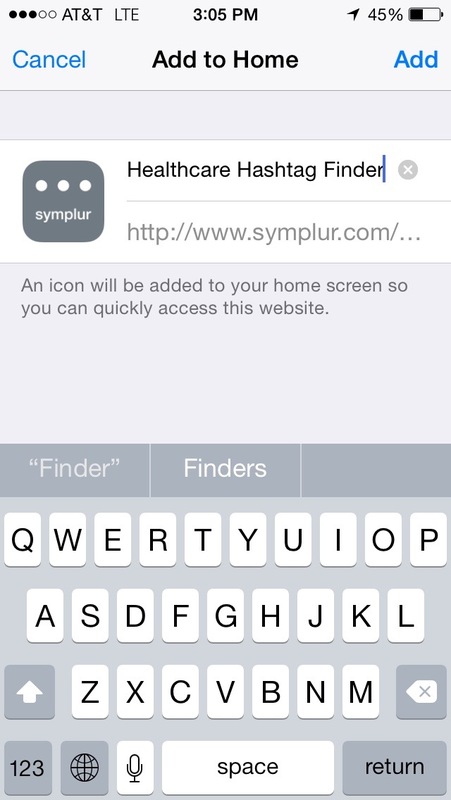 Go to https://signals.symplur.com/hashtag-finder on your iPhone. Press the Hashtag Finder button, a new page will open.